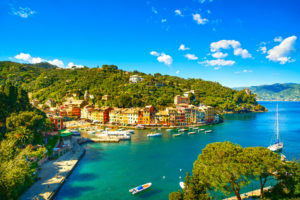 Picturesquely situated in a narrow cove on Italy’s northern coast lies enchanting Portofino. 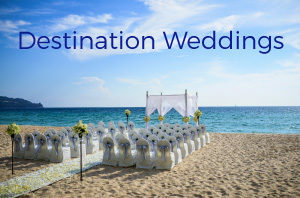 This Pearl of the Mediterranean has been a favored gathering place for the elite who appreciate the charm and intimacy of the cliff-lined harbor. Overlooking rocky coastline, quaint Portofino surprises with incredible views of Gulf of Rapallo and surrounding hillsides. The church of San Giorgio offers a beautiful view of the resort and harbor. More extensive views are available from Fortezza de San Giorgio. In 1935, the city government of Genoa declared Portofino a national monument. Visitors enjoy the unique ambiance, chic boutiques and quaint cafes that overlook the small yacht harbor and line narrow, cobbled streets. Others explore the surrounding coastline, where tiny villages are tucked away in hidden coves. Don’t miss out on a favorite pastime – people-watching while relaxing in an outdoor cafe. The boutiques and designer shops tempt with chic resortwear and Italian designer clothing. Two miles from Portofino is Paraggi, with a sparkling cove good for a swim.